What the Festival is returning to shake up Oregon for another edition this year. The festival will take place from June 19-22 on Wolf Run Ranch. This is one of the longer festivals, spanning over four days rather than the typical two or three day event. The lineup has some exciting names in dance music! 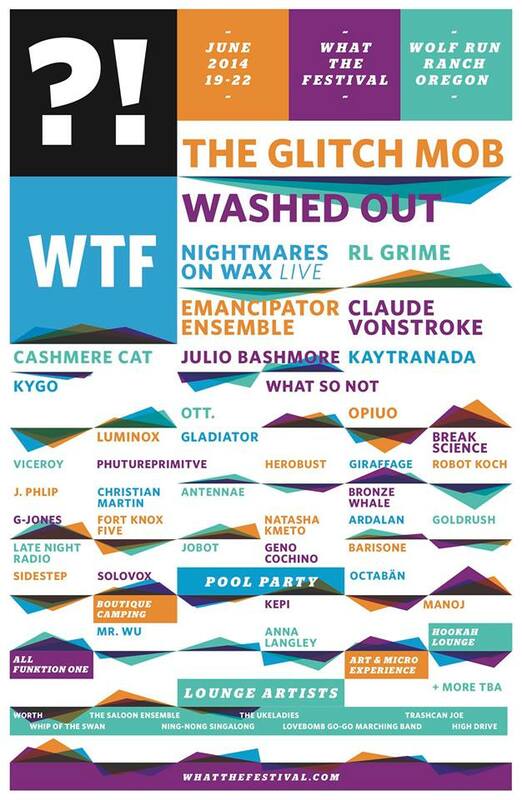 Expect to see acts including The Glitch Mob, RL Grime, Cashmere Cat, Claude VonStroke, and Viceroy on the bill. More artists will soon be announced! Tickets are now on sale, with General Admission being 18+ and Experience Passes being 21+. Check out the current full lineup below.